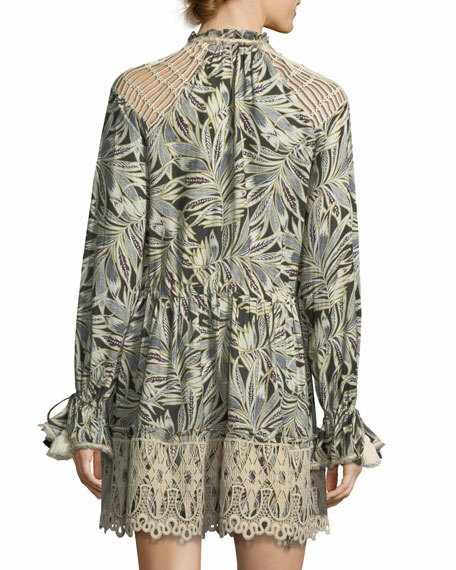 Alexis "Persia" palm-leaf print dress with tassel trim. For in-store inquiries, use sku #2508154. 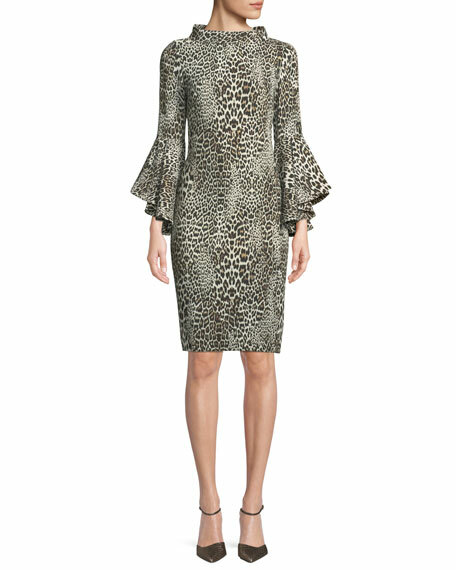 Badgley Mischka Collection "Flair" dress in leopard print. High-bateau neckline. Long trumpet sleeves. Sheath silhouette. Hidden back zip. Knee length. Vented hem. Dry clean. Polyester self/lining. Imported of German material. 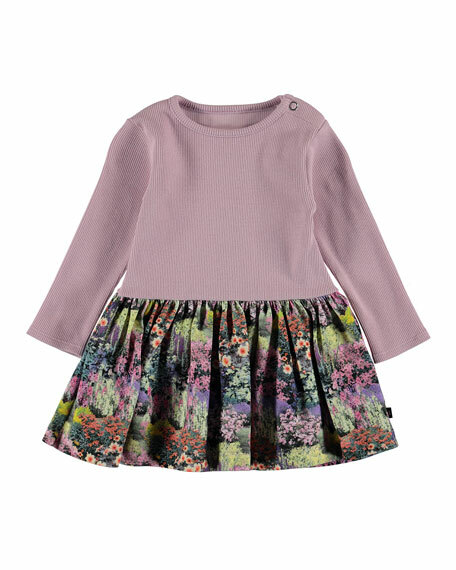 Joules "Amy" dress in multicolored raindrop print. Crew neckline; three snap back. Long sleeves. Ruffle skirt with taping. 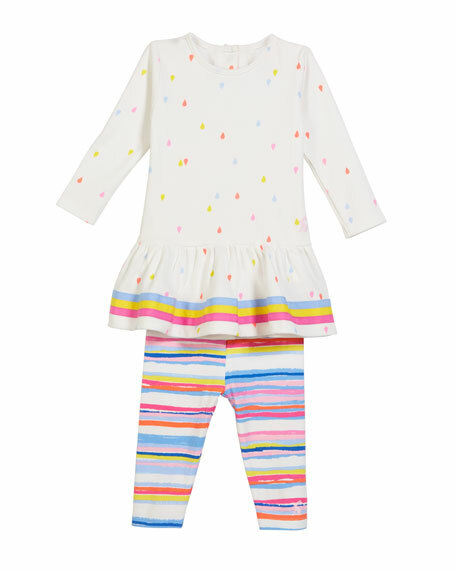 Includes striped leggings. Dress: cotton. Leggings: cotton/spandex. Imported. 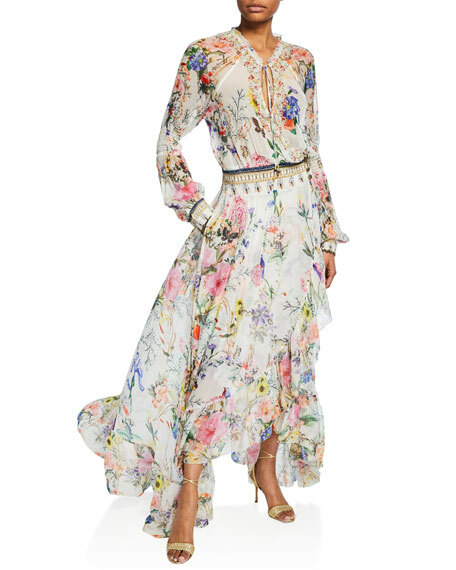 Molo "Carel" dress with ribbed upper and woven floral print skirt. Crew neckline; snaps at left shoulder. Long sleeves. Pleated waist. A-line silhouette. Cotton/spandex. Imported.